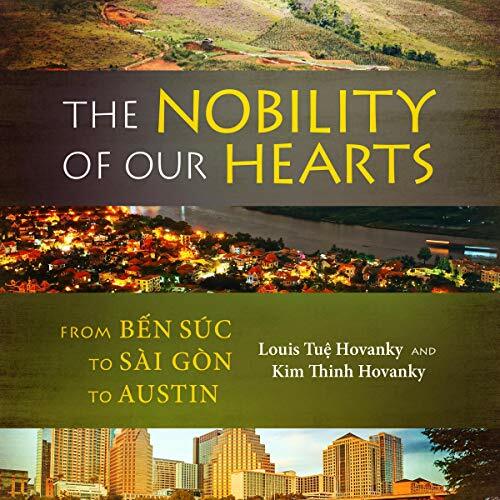 The Nobility of Our Hearts: From Bến Súc to Sài Gòn to Austin spans the remarkable events of 20th-century Vietnam: from French rule to the Great Depression, from the Second World War to the Vietnamese civil war that involved the US. At the center of this global history stands one Vietnamese woman, Cẩm Hồng. Whether she is embarking alone at the age of 14 on an ocean liner to Bordeaux to pursue her education, experiencing the bombing of Sài Gòn that forces her family to hide in the jungle while she endures the death of her daughter, witnessing the enlistment of three of her sons in the Vietnamese Armed Force, or finally escaping from Vietnam as a refugee to ultimately settle in Austin, Texas, Cẩm Hồng is a steadfast testament to perseverance and the Confucian values that sustained her. This is the real story of South Vietnam, not simply the horrific experience of one particular decade. It provides an expanded perspective of the full history of Vietnam while engaging the listener through intimate details and novelistic techniques to create a beguiling and dramatic work of nonfiction.